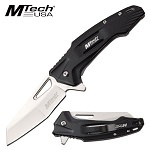 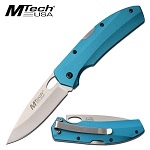 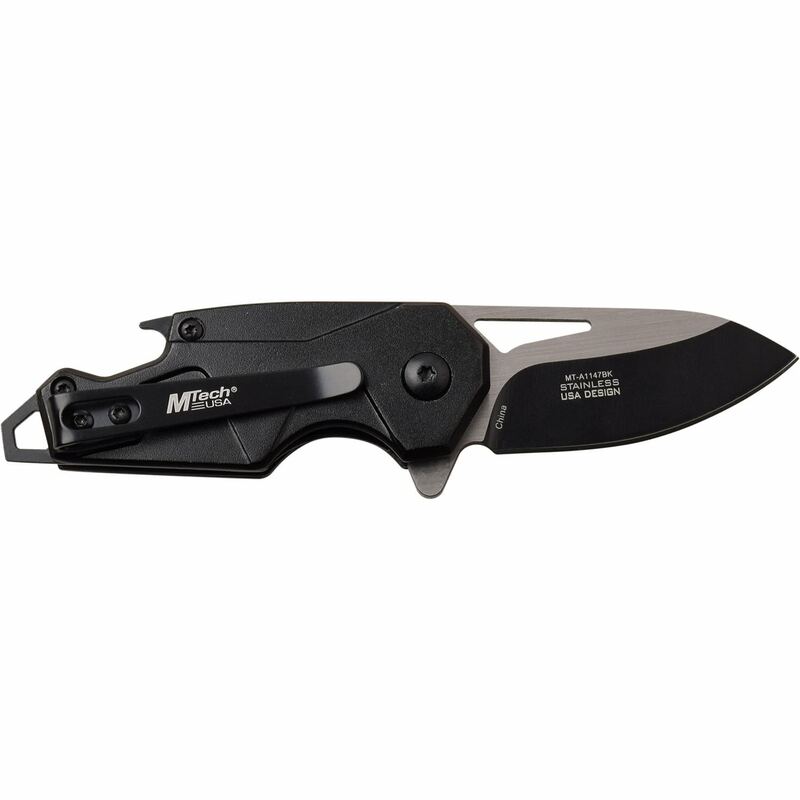 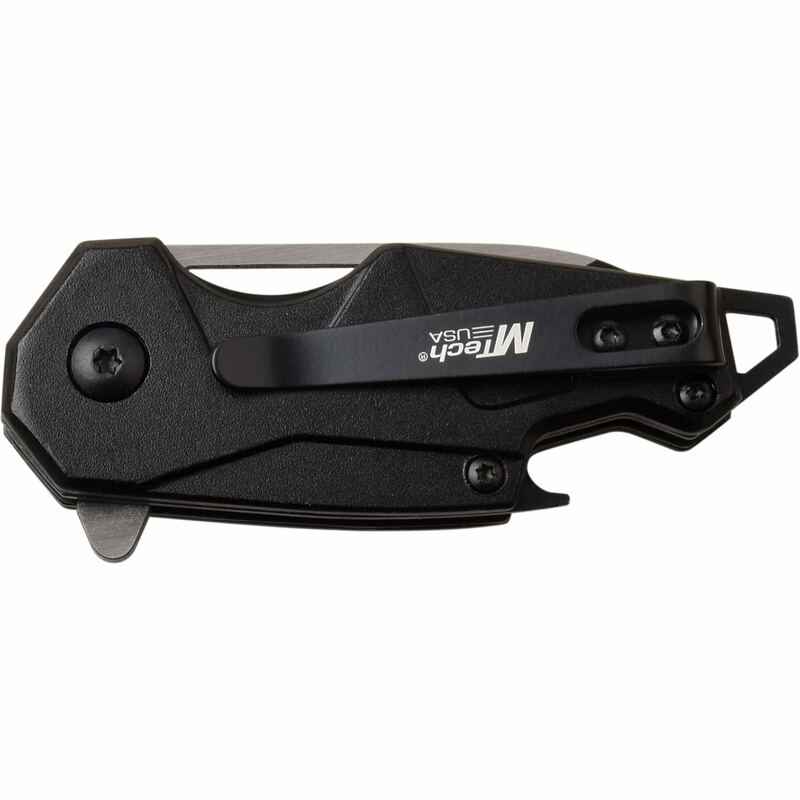 Mtech pocket knife with bottle opener handle. 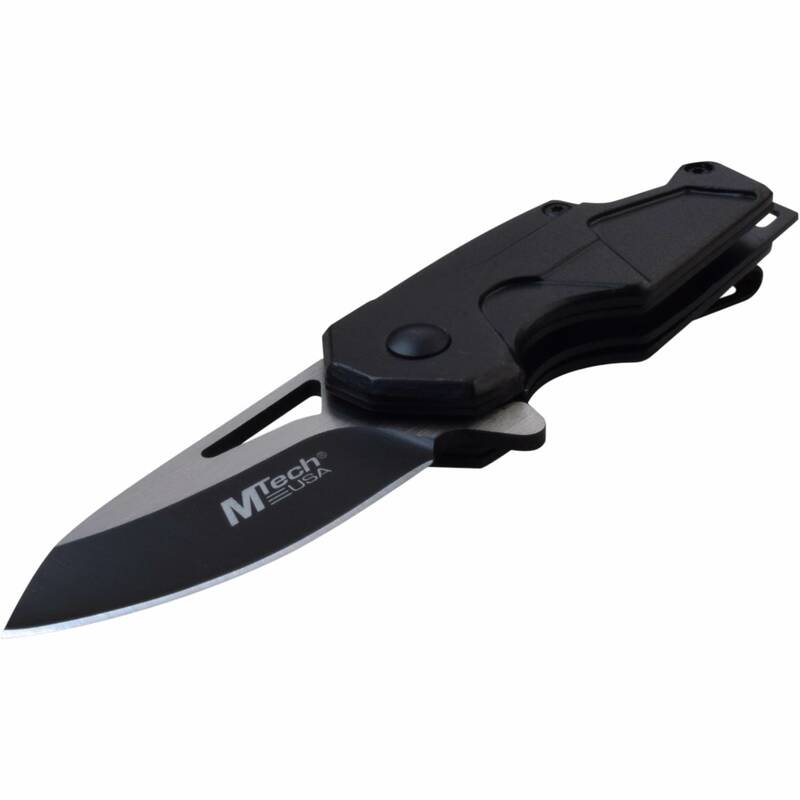 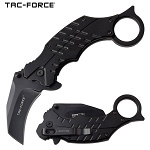 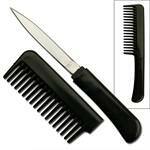 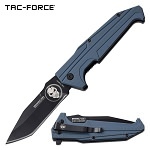 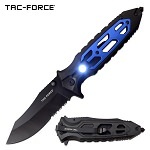 The assisted opening knife is small in size only measuring 5.25 inches long with fully opened. 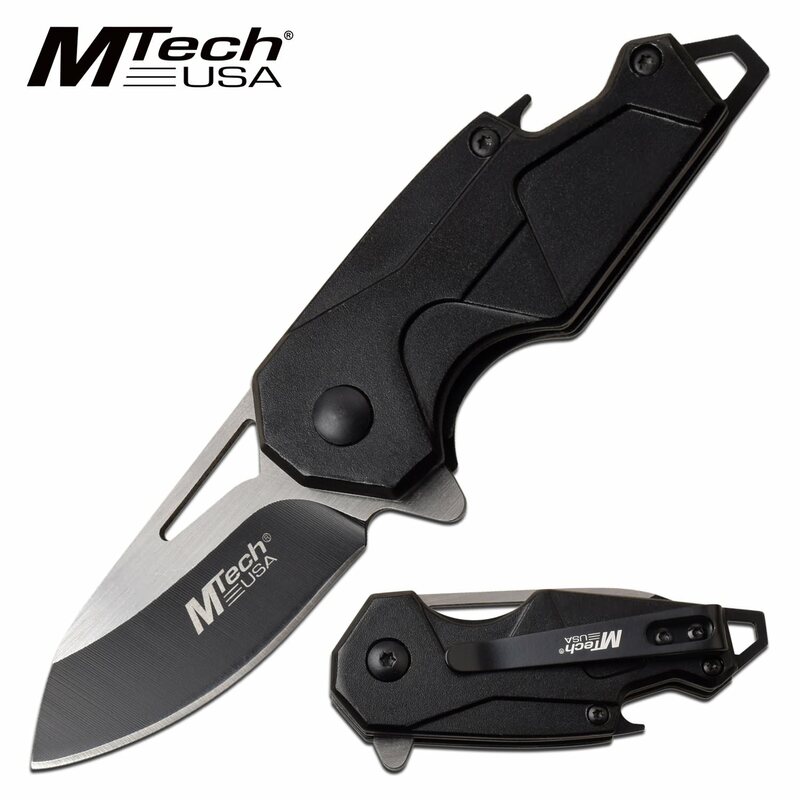 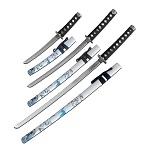 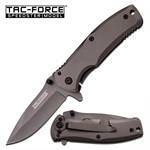 The US legal length blade is 2 inches long and constructed from two tone 3cr13 stainless steel. 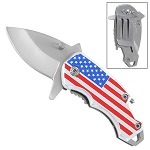 The anodized aluminum handle with bottle opener and keychain hook is 3.25 inches long.